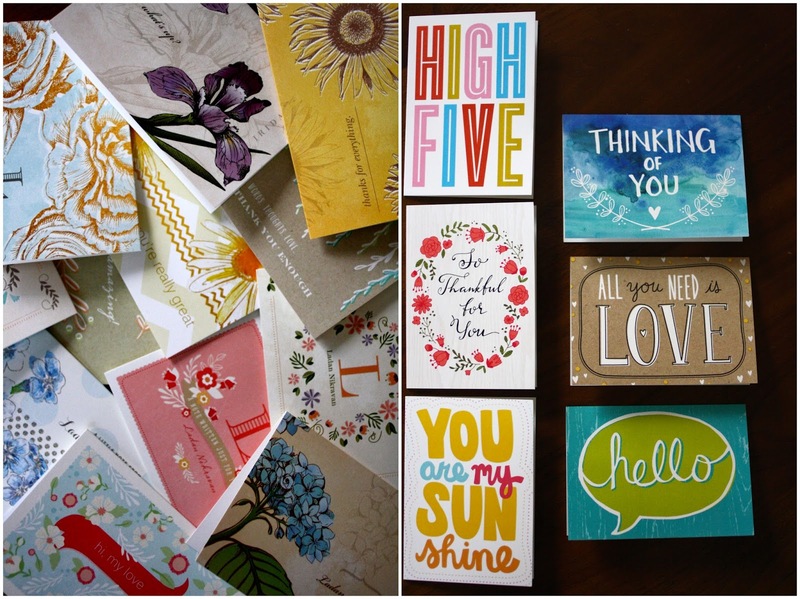 Make the Most: Shutterfly Thank You Cards! It's funny, Shutterfly approached me about promoting their Mix & Math Thank You Note Box Sets just a few days after my roommate Sara and I were chatting about how we have boxes upon boxes of thank you cards but never use them — you know the type, the ones with glittery high heels on them or terrible typography (why do we have so many boxes of these? Tell me you have them too). It also feels like we don't have use for them these days. A simple text or call gets the thank you job done, right? But there's something so special about sending and receiving personalized stationary (that's actually cute and shoe-less), especially if it's with a little handwritten note of gratitude. Last year I hosted a birthday potluck for a friend and the next day she came over with a thank you card with a heartfelt little note. Such a simple gesture felt so sweet. And B's written me thank you cards randomly over the years, which I think is the cutest thing. Why don't we do that more often? Thank you for taking care of me when I was sick. Thank you for letting me borrow some sugar. Thank you for cleaning the bathroom for the 10th time in a row. Thank you for being the best. It's nice to say it, but something else entirely to write it. So, these cards. I received three boxes: Passion for Pattern, Everyday Expressions and Vintage Fleur, and was able to personalize each set. Each box contains 12 3-by-5 folding cards with a mix of designs — you can choose how many of each design you want, what fonts and sizes — and photos. They're perfect for a short note and come with a gift box. The design of my old thank you cards aside, I also didn't care for them because they said very little: "thanks" or "thank you." That didn't feel like me. 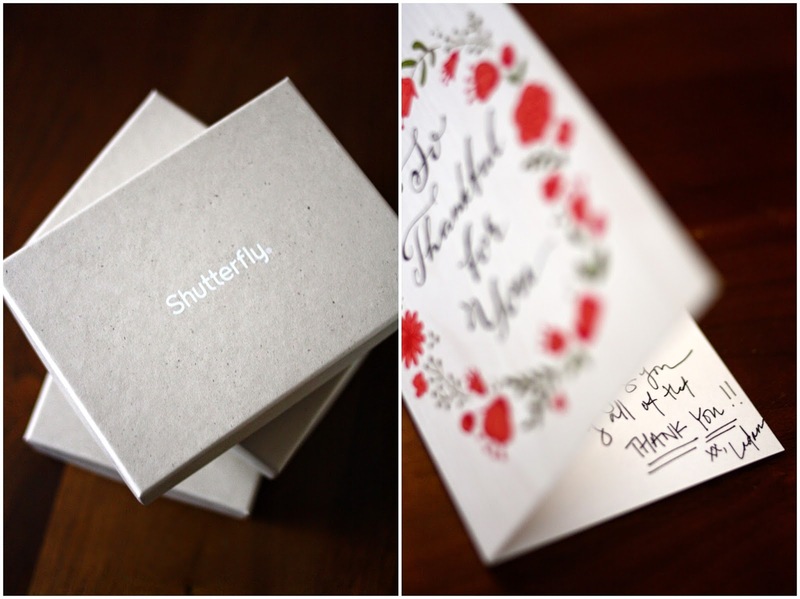 I personalized my Shutterfly sets to say things like "omg, thanks!" "seriously. i can't thank you enough" and "oh hey, thanks so much!" because that's me. I also love that my Vintage Fleur set has my name on a few of the cards. Growing up with an Iranian name and no middle name, I've never had the opportunity to get things monogramed or buy personalized notepads at the grocery store. I live for opportunities like this. It takes just a few minutes to write a thank you note but can mean the world to who you send it to. Write one this weekend. On a card without a shoe on it. 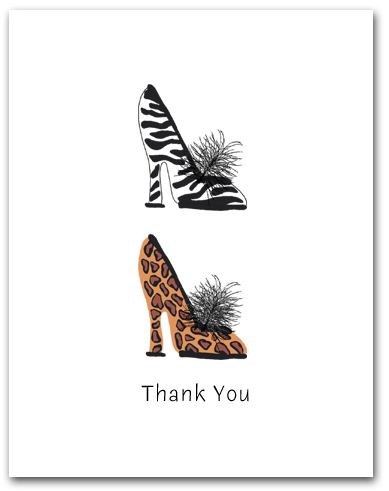 i love this and I love thank you cards! Such provisions, which remove the profit for card sellers that comes with unused cards, have caused major issuers like American Express to pull out of grocery and convenience stores in some states.